A new app called allows iPhone 6s users to use the device’s 3D Touch input for providing relative weight comparisons between objects. 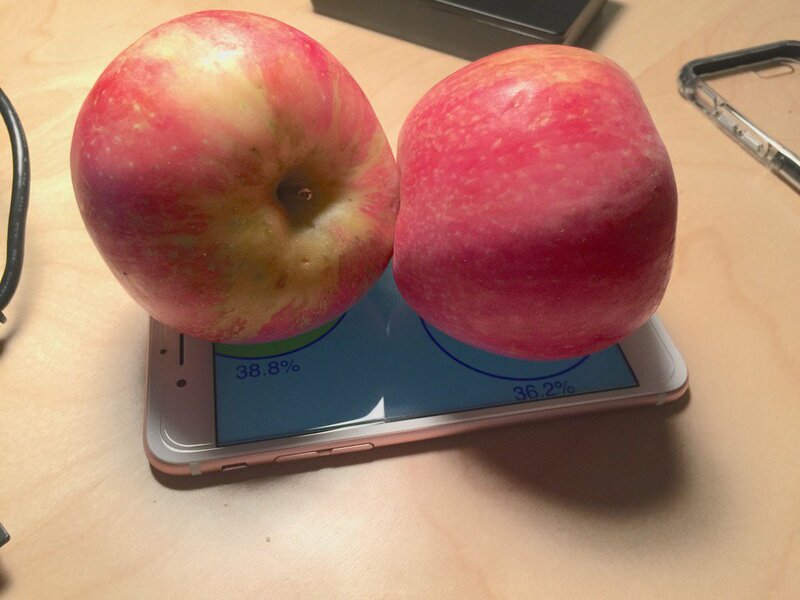 Don’t throw out your digital scales, because this app doesn’t provide precise weights for the objects placed on the iPhone 6s’ screen, but it can be handy for comparing two or more objects at once to see which one weighs the most. Aptly titled Plum-O-Meter, which is named after the fruit that is weighed during a demonstration video, the open source app uses the iPhone 6s’s 3D touch to display the weights of plums relative to the the phone’s maximum possible force. Of course, you don’t have to use plums, you can use apples, oranges, fingers, or any other object weighing enough that’s capable of being picked up by the capacitive touch screen. You can sideload the Plum-O-Meter app by visiting the App’s GitHub page. From there, you can use our sideloading tutorial to deploy the app on your iPhone 6s, no jailbreak needed. The iPhone’s multi-touch display is capable of picking up five objects at the same time, so in theory, it is possible to compare the weights of up to five objects as once. I personally tested it out, as you can see from the screenshot above, using two apples. It works as advertised. The 3D Touch display is much more sensitive to pressure than I had imagined. There’s lots of degrees of sensitivity to be found here.